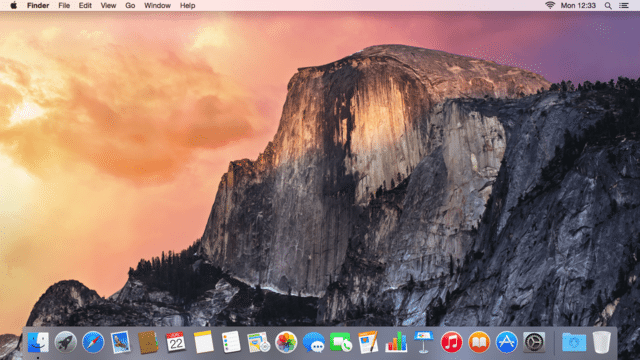 Although most users are saying good things about OS X El Capitan, it is not devoid of problems. Like its predecessors, it does have a number of problems including it somehow causing your Mac to be rather slow. This is a common occurrence, especially in older Macs… though newer ones have also been affected. The El Capitan is designed to make your computer run faster – after all, it managed to free up space. In some users though, it has done the opposite: making machines run slower than they did on Yosemite. Despite the new features and improvements, some users went as far as dubbing it “El Crapitan”, highlighting the need for fixes to make their slow Mac computers run more smoothly. Apart from which, there are also quite a few problems hounding it: some have been fixed, while others are still around. Regardless, it’s important to possess a clear mindset and remember that every problem has a solution. We’ve compiled a list of problems, including the speed-related ones, along with their respective fixes. Frozen apps. People with this problem had to use the Force Quit option to gain some semblance of control from their computers again. Spending time with the spinning beach ball. This is always an unwelcome sight in Mac computers: the spinning beach ball signifies that a Mac is loading slowly or is freezing. Slow boot up. Sure, Macs their time when booting up, but the problem has become noticeable to some Mac users. One even complained that the Dock takes its sweet time to load. Saving files takes longer. This happens regardless of the program you use, whether it’s a word processing one, or a photo editing software. Typing and cursor lag. Though this sounds rather unheard of in today’s computers, several users have complained of delays whenever they type something or whenever they move their cursors. This wouldn’t be surprising if there are programs running in the background. The issue may not even be an operating system related one in the first place: it could be that your hard drive is on the brink of being full. If you lighten the strain on your hard drive, your computer is sure to speed up a notch and solve most performance issues. However, searching for individual files, particularly videos and uninstalled applications, isn’t that simple on a Mac. Consider installing third-party software like CleanMyMac (read our review), an app which can help you get rid of cluttered files that take up a ton of space from a single, central program. 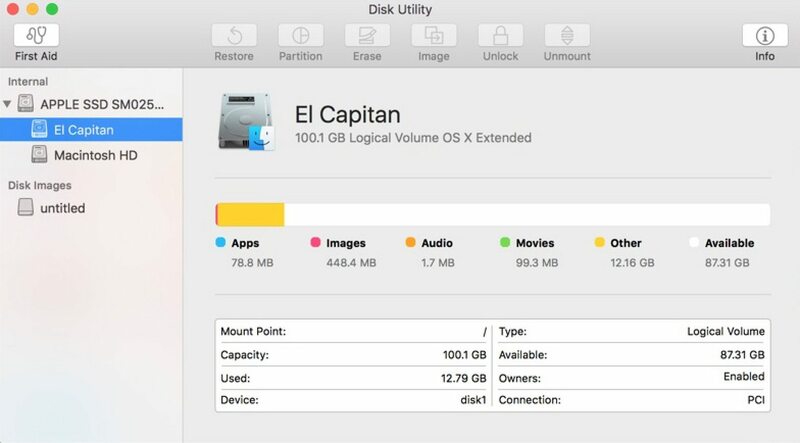 One of the main reasons why some users are experiencing performance issues in El Capitan is mainly because of the wrongly configured disk permissions. Basically, these are file settings which affects the computer’s ability to read, run, and execute a file. If the permissions are wrongly configured, then the software that uses the file may not be able to run it correctly, causing speed issues. However, in El Capitan, disk permissions are protected and you can no longer access it. However, you can still repair it using CleanMyMac by going to the maintenance tab and proceeding to the “Repair Disk Permissions”. If you’re complaining that your Mac is running slow when you have a iMovie, Photoshop, and a game running in the background, then you should probably quit all the programs in the background first before airing your grievances online. You can check out the programs causing the performance issues on the Activity Monitor. To access this simply go to Spotlight or go to the Utilities folder via Applications. If the above mentioned fixes don’t work, then you might have to reinstall El Capitan. You never know, something might have gone wrong during the installation phase. Note that you should only do this as a last resort (unless if you’re willing to downgrade to Yosemite) before you head over to the Apple Store. To reinstall the operating system, here’s a guide. If you think you’ve done everything you can to salvage your computer and at the same time, keep El Capitan, but to no avail, you can revert back to Yosemite if you want. Do so, especially if you haven’t had any issues with it in the past. However, the whole process will require a lot of effort and a few hours. Here’s a guide by Gotta Be Mobile. Also note that if your hardware is old and your RAM is four gigabytes max, then you’re bound to have performance issues. In this case, your best bet would be to purchase a new Mac computer. Apart from the speed and performance issues, there are other, more specific problems as well. Fixing them is a must because after all, they touch on the Mac’s basic and most-used functions. By simply restarting and unplugging your router and the modem. Keep them off for at least 30 seconds to several minutes. This usually does the trick in most cases. Turn your WiFi off on your Mac and turning it back on again after a minute or two. Go to Network Preferences > Advanced then delete the WiFi network the re-add it. Turn off Bluetooth. This can be a problem if you’re using Apple’s newest Bluetooth accessories for Mac, however. When Mac users installed El Capitan, the most telling problem was the unresponsiveness of Microsoft Office, which is highlighted by lag and slow loading speeds. Fortunately, Apple has recently released an El Capitan patch that fixes the problem. You can install the newest patch by heading over to the Apple icon on the left side of the menu bar and by performing a system update. Microsoft also released a patch of its own. Apparently, El Capitan has trouble printing landscape documents – this arises when users try to print PDF landscape documents using the Preview feature. Though the best way to solve this problem is to not print PDF documents directly from Preview, there’s one way to fix it by resetting the printing system. Do this by heading over to System Preferences then to Printers & Scanners. Click on the Print tab and right click on the printer and select Reset Printing System. After doing so, restart both your Mac and printer. After doing so, you will be able to print documents without worry. If you’ve noticed that your Mac’s battery life is shorter than usual after the upgrade, then it’s mainly because of Spotlight. It could be indexing files, which is why it’s using more power than usual. Try to let the whole process finish so Spotlight will be able to run smoothly. Using Safari instead of third-party browsers. Sure, Chrome and Firefox may be better compared to Safari, but if considering that Apple’s own browser manages memory better than others, it saves power. The difference may not be initially noticeable, but it works. Reducing screen brightness. Not only does a bright screen hurt the eyes, but it also drains your battery rather quickly. Reduce screen brightness by going to System Preferences then to Displays. Dim down the brightness and be sure to uncheck the Automatically adjust brightness option. Another post El Capitan problem is the slower Safari. If you’re experiencing lag and slow loading speeds, simply fix the problem by clearing the cache. Do this by heading over to Safari in the menu bar, clicking Preferences, then Privacy, and finally clicking on the Remove all website data option. 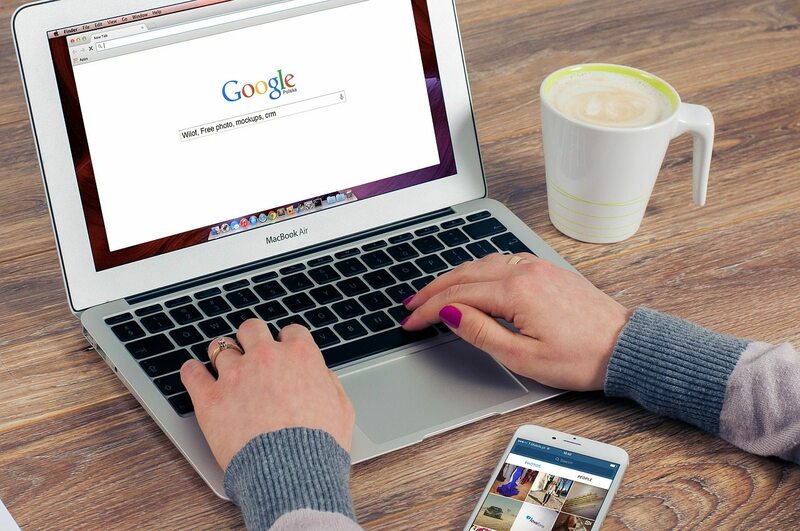 Basically, the cache is designed to quicken loading times by saving certain elements in web pages that you visit often. For example, if you happen to visit a particular blog everyday, the browser takes note of this and downloads certain elements present in it. However, doing too much of this can slow down the browser experience, especially when some of the already-downloaded elements are now outdated. Overall, a slow Mac can always be fixed . Though it has had its host of problems, this does not change the fact that it’s arguably one of Apple’s best operating systems in recent memory. 18 Responses to "How to Fix Your Slow Mac Post-El Capitan"
Arguably one of Apple’s best operating systems in recent memory if your a Gold Fish. Incompatible System/Extensions slow the computer but can also stop your computer from booting. No criticism that there is no brake failure light for your hard drive, SMART Chip on your hard drive will slow it down if its failing but NOT WARN YOU. Googling slow mac and downloading MacKeeper will only kill your Hard Drive before you can back it up and it fails for good. I have a brand new Mac with the latest version of el capitan 10.11.3. I installed Office 2016 Office with the latest version as confirmed by our local Apple Store. We have found major issues that will cause businesses to go broke because of glitches with Excel putting information in the wrong cells, even when the cursor has clicked the correct cell. This issue was on all the Mac’s at the Apple Store. The problems I have found are becoming numberless. The new Mac prints at 1/5 the speed of my older mac running 10.6… The reason I upgraded to this new Mac was that Safari on my old mac wasn’t being supported any more. My old Mac runs rings around this new Mac. Is it true that Microsoft and Apple only used “On the job training” ITs to marry Office and OS el capitan together. And are those same ITs the one that built the Federal Gov’t Affordable Care website which has never worked. If you only wanted to upgrade the OS, simply to get a supported browser, have you considered using another brand of browser other than Safari? Granted, Chrome is cutting support for older OS such as Lion, but at least they do it more slowly, as they have no incentive to motivate you to upgrade to the “newest, shiniest, more powerful, and the best ever OS”. THIS is not why I bought a macbook, so I could waste time troubleshooting each and every new upgrade. #elcapitan MacBook Pro (13-inch, Mid 2012). EL “CRAPITAN”: Having to bring your ONE LEGGED DONKEY to the glue factory after only 4 years? Like Preaching Leech, I too have a Macbook Pro 13 inch, bought in August 2012 running Lion. I was perfectly happy with Lion and did not upgrade to Mountain Lion after reading several reviews. However, about six months ago ( autumn 2015 ) I kept receiving an invitation to upgrade to El Capitan. I consulted a Mac friend who said he “would soon take up the free invitation to upgrade to El Capitan”. So I did. Took a while to do, and because I am a lady of a certain age – thought all the following changes for the worse, were due to my lack of expertise. It also co-incicded with my village upgrading our local broadband to the fibre superfast ( which I did not take ) as my MacBook immediately became really slow. It seemed to improve, but has indeed deteriorated. I am now using my friend’s BT superfast broadand, and my Mac is still awfully slow. Therefore ( duh ) I realise it IS El Capitan causing all my problems. Can I return to my previous Lion system without losing photos and documents? Any help will be much appreciated. Like Preaching Leech, I too have a Macbook Pro 13 inch, bought in August 2012 running Lion. I was perfectly happy with Lion and did not upgrade to Mountain Lion after reading several reviews. However, about six months ago ( autumn 2015 ) I kept receiving an invitation to upgrade to El Capitan. I consulted a Mac friend who said he “would soon take up the free invitation to upgrade to El Capitan”. So I did. Took a while to do, and because I am a lady of a certain age – thought all the following changes for the worse, were due to my lack of expertise. It also co-incicded with my village upgrading our local broadband to the fibre ( which I did not take ) as my MacBook immediately became really slow. It seemed to improve, but has indeed deteriorated. I am now using my friend’s BT super fast BB , and my Mac is still awfully slow. Therefore ( duh ) I realise it IS El Capitan causing all my problems. Can I return to my previous Lion system without losing photos and documents? Any help will be much appreciated. I upgraded to El Cap in Feb 16, hoping that all necessary bugs had been fixed by then. Let me say that even though I have done *everything you include in your list — as well as doubled my RAM — lag / hang / crash issues persist. I’m a full-time freelance designer who makes a living on the speed and dependability of my Mac and, honestly, I’m seriously considering a different career. When your tools give you daily heartbreak, the fun is gone. Can you inform about issues that crashed my Drive on my MBLPro after installing El Capitan now needing to install a new SSD; then go back to installing Mountain Lion 10.8 in order to accomodate Adobe Creative Design and Web CS6 programs? I’m sure I’m not the only one loosing lots and lots of time and $$$$$. Just “updated” to El Capitan. Appalling. Slow slow slow even after trying all the fixes. What a disaster. This is one of the best guides I’ve read about troubleshooting El Capitan performance issues, thumb up first! I also updated my Mac to El Capitan after a long wait, as always I am not a fan to immediately update for any newer OS X (mainly because the lesson I learned in early years). Yep, I read the Apple Support Forum complaints as well. That’s why I hesitated until two months ago I finally did it. To my surprise, it only took me about 2 hours to finish the whole process (instead of 8 hours many others reported). In the first day or two, my Mac did run a bit slower. Guess it’s probably because Spotlight is indexing hard disk files thus eating lots of system resources. Since you also mentioned Safari slow, I’d like to add that sometimes it’s because of adware — they are very annoying. Not sure if you read Lowell’s article “Mac OS X Isn’t Safe Anymore: The Crapware / Malware Epidemic Has Begun”, it’s a great post. To be honest, I’m also surprised how Macs are prone to such crapware issues. By the way, I also addressed some solutions for fixing mac slow issues here: https://www.imacslow.com/ would love to know what you think? Updating to any new OS system is going to cause problems. It reminds me of when I updated from Windows 8 to Windows 10. Bad move, even though Windows claimed it was so much better. I found it was best for me to revert back to Yosemite and wait until they were able to make El Capitan more user friendly. Apple has been putting out near garbage for their OS’ starting with Mountain Lion, with each progressively worse than the last, with El Capitan and Yosemite respectively worst and second worst – it’s as if they’ve been taking courses from Windows Me or Vista designers. There are so many issues with El Capitan it’s not even funny, it’s ridiculously slow and buggy, where pretty much everything lags badly and regularly crashes. It’s driving me batty how I cannot even do the simplest of tasks without seeing the damn beach ball spinning. You can run through ever fix in the book, but it’s still a terrible OS and something that Apple should be utterly ashamed to have created, especially when a Mac is almost always 2/3’s to twice as expensive than an equivalent PC. The only redeeming quality the Mac OS now has is that it’s more secure than Windows. The 10.11.6 update in particular has proven the worst for slowing down my mid 2012 Macbook Pro – not what I expect when dropping $2,000 on a computer. I have a 2.9GHz Intel chip, with 16GB RAM, and it still runs like a snail more often than not. I’ve lost track of how many hours I’ve wasted trying fixes, and how many lost working hours I’ve had due to lag. Apple needs to do a top-to-bottom rework of Mac OS X and cut out the crap that’s slowing down the OS, and get back to their roots of a clean, fast operating system. I don’t upgrade the test IOS unless i have to for reason such a this. But I recently had issues with the security software loaded by Best Buy when I bought my iMac in 2013 and they said they could only load a new one if they downloaded El Capitan. Now my system is like running a marathon through knee deep mud. Its frustrating as hell and driving me insane. None of the suggestions above has helped either. These clowns don’t hear you. Only the ‘ching’ of the cash registers. Tim Co*k needs to be booted out of Apple before the whole ship goes down. Apple calls its ‘shop assistants’ geniuses. The clue’s right there. Delusional, like their prices. This is my last iMac. No malware in Apple products? The OS ‘is’ the malware. Muy mal!